A kingdom conflagrated by bloody revolution. 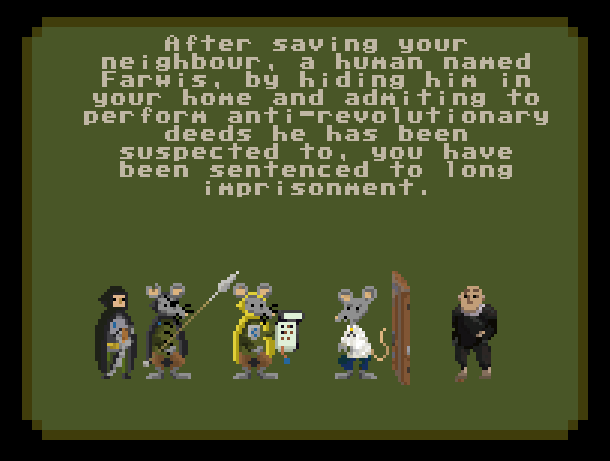 A noblerat imprisoned in a deep dungeon and devoid of dignity. One day an opportunity to escape appears and he grasps it. Help him to find his way out and recover himself. 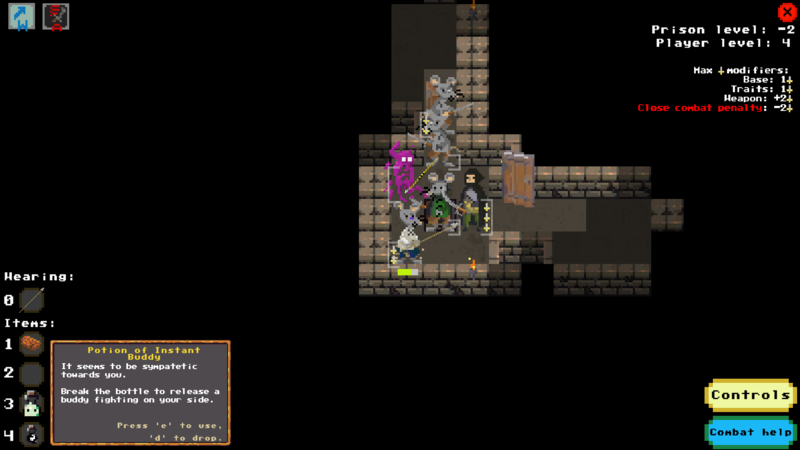 In this short roguelike I put the focus on fencing mechanic. Movement is crucial for getting a good position in combat and defeating your opponent. 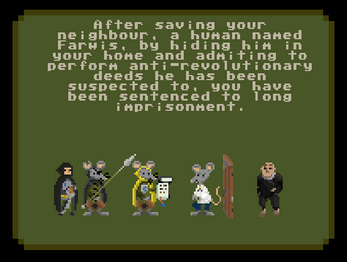 Made for 7DRL 2018 challenge (took third place). 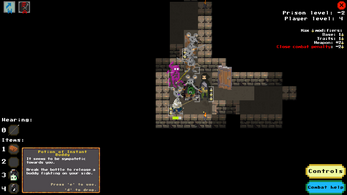 If you liked this game, you may want to follow me on Twitter and also enjoy my 7DRL 2019 attempt, Quinta essentia, which plays with advanced alchemy system and The Witcher world atmosphere. I really enjoyed how easy it was to pick up and the weight of the story. At the same time the combat has a depth that will take time to master. Agree with Lachlan, this is a complete experience. My complete experience is up on YouTube (linked). Really complete experience - well done. Thanks for recording the gameplay. Was fun to watch and there was some useful feedback for me. had a blast! please come and keep hanging out!